With APPtec®, primary particles can be provided with an almost freely adjustable chemical and mineralogical composition and previously unattained properties. Time-consuming and risky scale-up procedures are eliminated because of the size-independent conditions. The modularisation of chemical synthesis pathways in pharmaceutical production can improve overall plant efficiency and reduce planning time. Glatt has optimised the API synthesis process and developed bespoke plant designs for several international customers. The properties of functional ingredients can be fine-tuned using fluidised bed spray granulation, agglomeration, microencapsulation and coating. Plant manufacturer Glatt Ingenieurtechnik offer a new compact spray agglomeration concept for industrial-scale continuous production. Thanks to a novel method of spray calcination, test-ready additives for rapid market entry can be ready in just a few weeks. By Lars Leidolph, Glatt Ingenieurtechnik, and Andreas Kröger, Pigmentsolution. Microcapsules provide an excellent way to extend the shelf-lives of essential oils, vitamins, flavours and many other active ingredients, and protect them from external influences. A key consideration is process optimization to enahnce the ingredients and their release profiles. 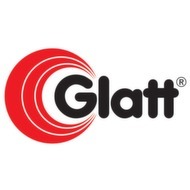 Based on proven fluidized bed technology Glatt offers a newly developed compact, flexible and modular plant concept for reduced investment costs, reduced operation costs, minimum space requirements, maximum flexibility, fast installation by plug & play, and safe operation. Sensitive substances such as probiotics, vitamins or sustained release dosage forms must be furnished with a functionally protective coating to ensure their safe transport through the intestinal tract. Hot-melt fluid bed granulation provides possibilities for product design. Mike Waskow, Glatt Ingenieurtechnik, Germany, explains how economical production of urea-based fertilizers can be achieved using fluidized bed technology. Unique platform for particle design and engineering for developers, manufacturers, and scientists. We provide technologies like APPtec powder synthesis, fluidized bed, and spouted bed for the advanced generation of powder and the manufacturing/optimization of granules + pellets. Surfactants and bleaching agents are used for targeted effect on organic substances. Glatt fluidized bed and spouted betechnologies are usable to add value or improve product properties of dry detergent formulations. Liquids or powders can be processed to innovative products. Product optimization is key to success, and choosing the right combination of process type and parameters is critical. From spray granulation to spray coating: in this white paper the individual process steps are presented with user-oriented information and practical examples. Glatt Process & Plant Engineering plans, designs and implements international projects, from the expansion or modernization of existing production sites to the new construction of an entire plant. Worldwide! TTC-Workshop: 29 November – 1 December 2016 Programm and registration details. Film or hotmelt coating provide every single particle with a defined protective coating and enables targeted release of the active substances, taste or odor masking, better appearance or optimum protection during transport, storage and dosing. Benefit from compact, dust-free, round granules with narrow grain size distribution, produced by continuous spray granulation from a highly concentrated solution. You will get pellets with dense surface that causes only very little wearing during storage and transport. Compact, dust-free, and homogeneous granules reduce the health risk and unwanted drift during application. By spray granulation made up of solutions, emulsions and suspensions you manufacture pellets with a high dispersibility and high abrasion resistance. Compact, dust-free, water-soluble, and abrasion resistant granules reduce unwanted drift during application. By spray granulation with optional subsequent coating various combinations of active ingredients can be set up. Cocoa powder, olive extract, milk proteins, instant tea, sweetener, nutrition, spices, stabilizers, flavors, emulsifiers, fibers, antioxidants, ... - Optimize your food additives to get dust-free, optimally soluble granules by spray agglomeration or immobilization of liquids. More performance for your detergents. Compact, dust-free, water-soluble granules improve the effect of detergents, while fulfill the stringent requirements regarding environmentally friendly cleaning processes and comply with the criteria regarding storage, handling and dosing.